The Mississippi Department of Environmental Quality held a series of Resource Summits earlier this year across the three coastal counties. The Resource Summits are a part of a $3.6 million planning grant awarded to the State of Mississippi from the Gulf Environmental Benefit Fund administered by the National Fish and Wildlife Foundation. 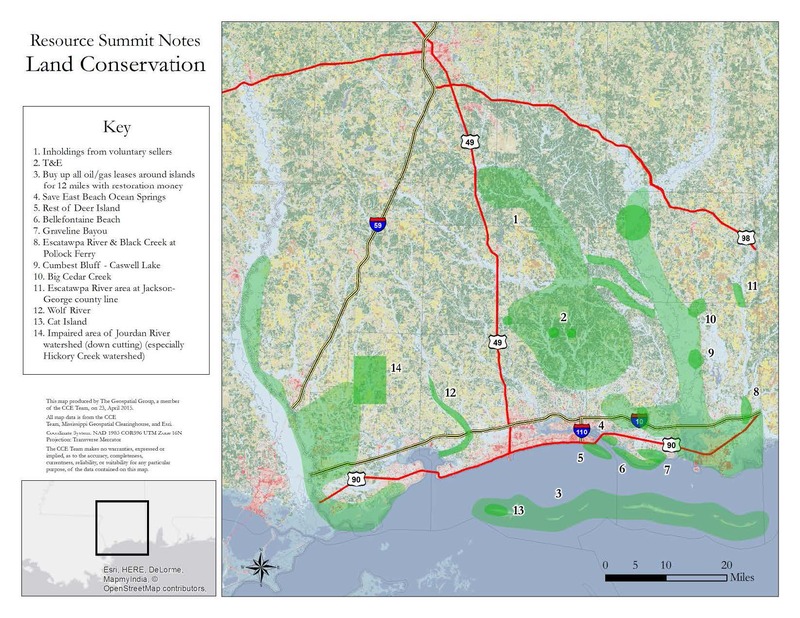 This multi-phase, three-year project will develop a comprehensive plan for restoring and conserving Mississippi’s coastal natural resources. As part of this planning process, Mississippi held a series of Community Conversations last fall where community members were able to voice their values, ideal characteristics, and visions for their communities as participants identified priority restoration resources. Hundreds of coastal residents attended those meetings and gave valuable input in identifying priority resources for the Mississippi Restoration effort. The three priority resources identified during the Community Conversations were Water Quality, Land Conservation and Marine Living Resources. Those priorities served as the subject matter for the 2015 Resource Summits. 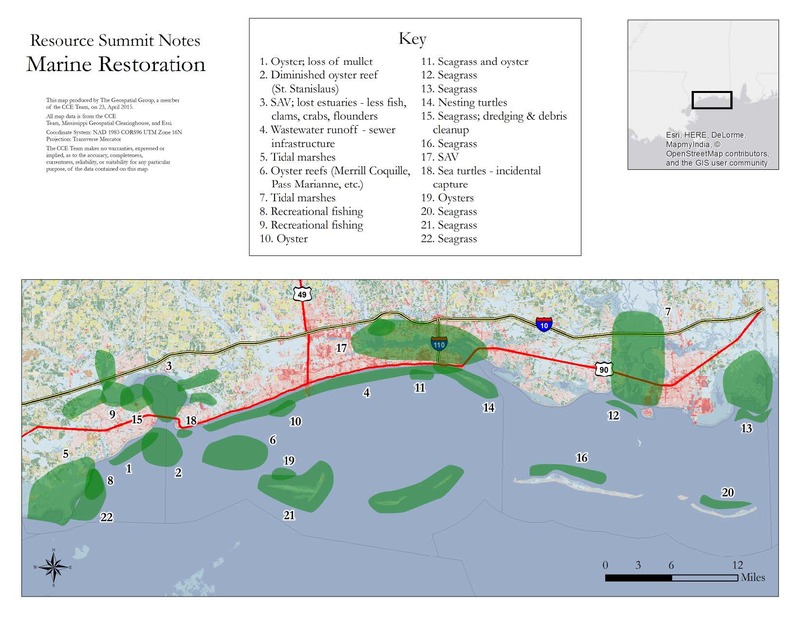 The summits also gave the public an opportunity to see how the Mississippi Comprehensive Ecosystem Restoration Tool (MCERT) works, and how the tool will be utilized in the restoration process. 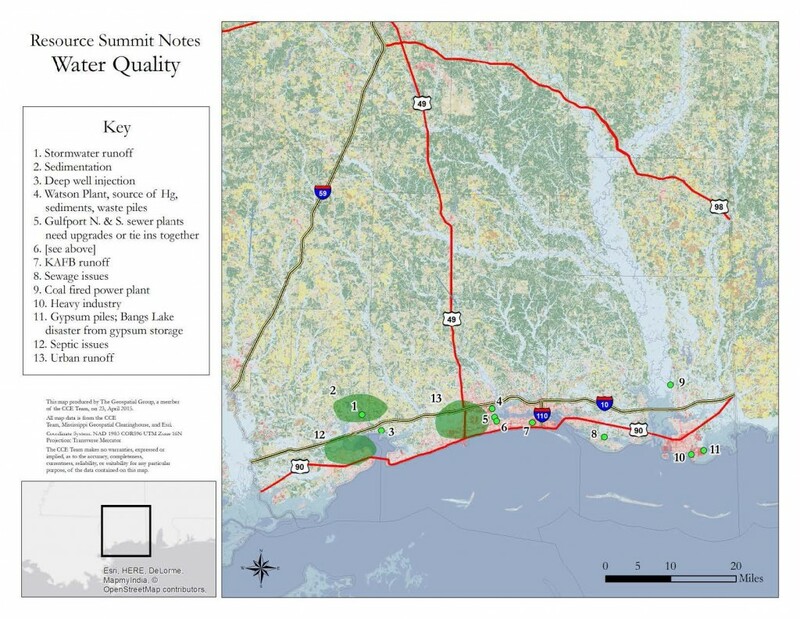 MDEQ has prepared the following Resource Summit reports for download.